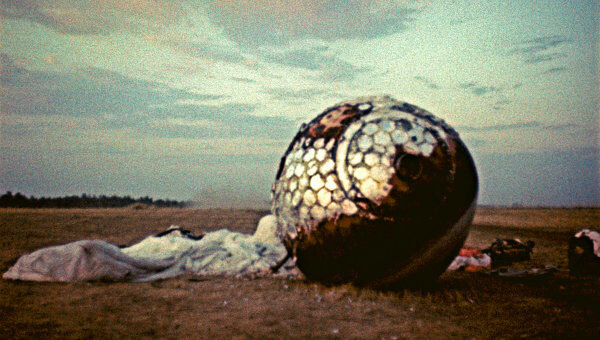 On April 12, 1961, Soviet cosmonaut, Yuri Gagarin, used a space capsule like this to become the first human in orbit. That same year, the first breast implant was developed by American plastic surgeons Thomas Cronin and Frank Gerow. Breast implant capsules have a bad reputation. Normally, they are only discussed when they are causing problems like capsular contracture or breast implant malposition. However, like a space capsule, the breast implant capsule provides protection, and without breast implant capsules, there would be no breast augmentation. What is a breast implant capsule? Whenever a breast implant is used for breast augmentation, your body makes an encapsulating sheet of scar that lines the breast implant’s pocket. This normally thin, soft scar is called the “capsule”, and it is incredibly important in maintaining your breasts’ enhancement. Have you ever wondered how breast implants stay in place? The capsule is responsible for keeping the breast implants in the proper position beneath the breasts. It forms in just a few weeks after breast augmentation surgery and keeps the breast implants from freely sliding around. Optimal breast implant position is a combination of careful placement during surgery and a proper capsule. The capsule will quickly line the surgical pocket and provide a smooth, strong interface between the breast implant and the soft tissues of the chest. By reinforcing the pocket, the capsule helps to maintain optimal breast implant placement. The capsule protects the breast implant. Not only does the capsule help keep the breast implant in position, it also protects the implant. The interior of the capsule is smooth and allows for nearly frictionless movement within its boundaries. The outer layers of the capsule provide enhanced vascular circulation and helps protect the breast implant from infection. When good capsules go bad. So what can go wrong with breast implant capsules? The perfect capsule is firm enough to maintain proper breast implant positioning, but soft enough to not be felt. Problems occur at the extremes, so like Goldilocks the capsule needs to be just right, not too hard and not too soft. When the Breast Implant Capsule is too soft, it does not provide enough support for the implant. Gravity pulls the implants down when standing or to the side when laying down. The larger the breast implants, the greater the force. Stomach sleeping also pushes the implants apart. A healthy capsule can resist the tendency toward Breast Implant Malposition, but a good bra helps too. Treatment for implant malposition can include a capsulorrhaphy, to tighten the capsule, and close off the areas where the implant should not be going. If an overly large breast implant in compounding the problem, a smaller implant can help reduce recurrence. The use of an acellular dermal matrix (ADM) has also become more popular as a way to line, reinforce and thicken the capsule. When the Breast Implant Capsule is too hard, it can compress the implants, and cause Capsular Contracture. Capsular contracture can also result in breast implant malposition. If the capsule is tight only on one side, it will push the breast implant toward the soft side. If the capsule is tight all the way around, it can make the implant feel hard. Treatment for capsular contracture includes capsulectomy, removing the thickened capsule, and capsulotomy, incising the capsule to allow it to expand. Both these techniques are performed in the operating room. An older, non-operative technique called closed capsulotomy was a way to split the capsule without surgery by forcefully compressing the implant. This has been largely abandoned as it has less predictable results, may lead to uncontrolled bleeding or implant rupture, and violates most breast implant warranties. The most common types of capsules are grade I followed by grade II. Grade I capsules are soft on not detectable from the outside, Grade II capsules feel firmer, but are not tight enough to cause visual changes. Both usually provide adequate support to allow the breast to age naturally, securely on the chest. If you are considering breast augmentation, or you have breast implants and are considering breast implant revision surgery, give me a call at (925) 943-6353 or contact my Walnut Creek Plastic Surgery Office using the contact form in the left column.